I love the line “the dog ate my homework.” It is not one that our children are able to get away with since it was invented way before their time. In the case of this blog though, the dog really did eat my homework, albeit about 35 years ago. It started even before that time, way back when my parents were still married. It was early on in their marriage and my mother decided it was time to learn to bake a pie. So for the next couple of weeks, that is exactly what my mom did in the kitchen. The ONLY thing Mom did. Dad would come home each day to a new version of pie. Many pounds added to Dad’s waistline later, Mom mastered this skill. 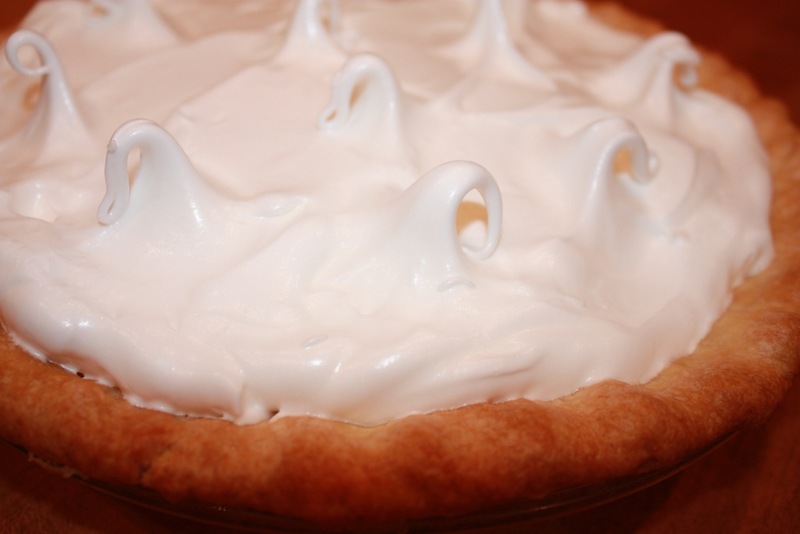 Fast forward, and my mother makes the best Lemon Meringue Pie around. Ask her, and she will tell you. Modesty is not her strong suit, at least in this area, yet the reality is that Mom really does make the best, so she is simply telling the truth. More than a couple of decades after Mom’s pie making perfection took place, a few things have changed. 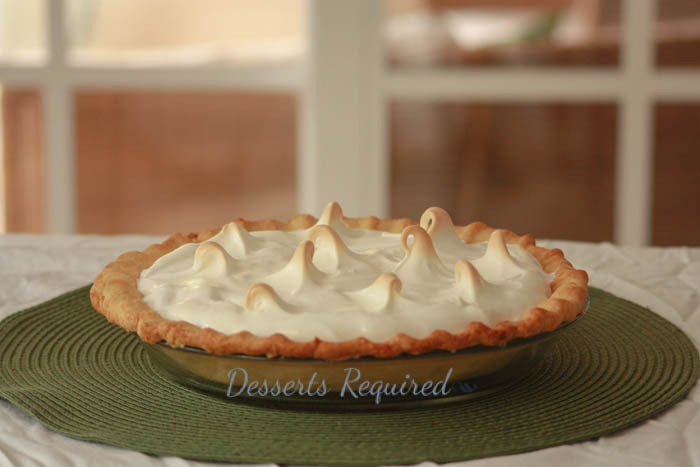 For one, I altered the sacred Lemon Meringue Pie recipe. 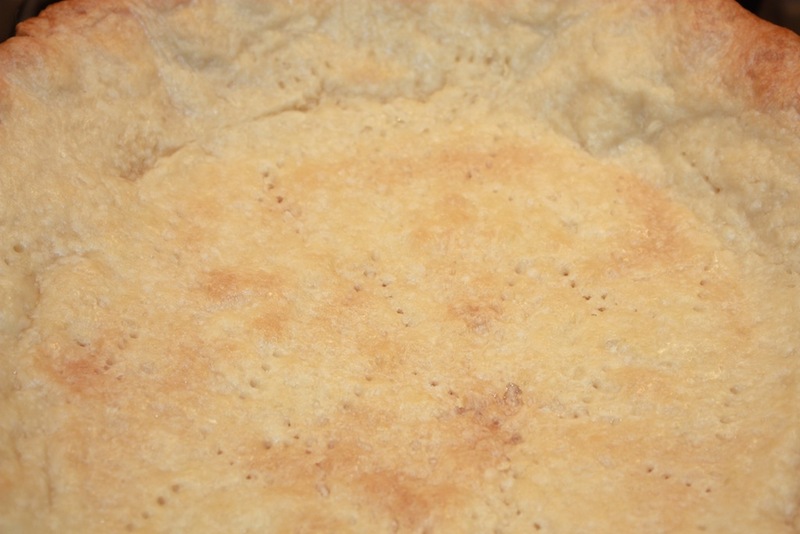 Mom makes it with a shortening crust and I love a butter crust. I also make mine a tad more tart than Mom’s. 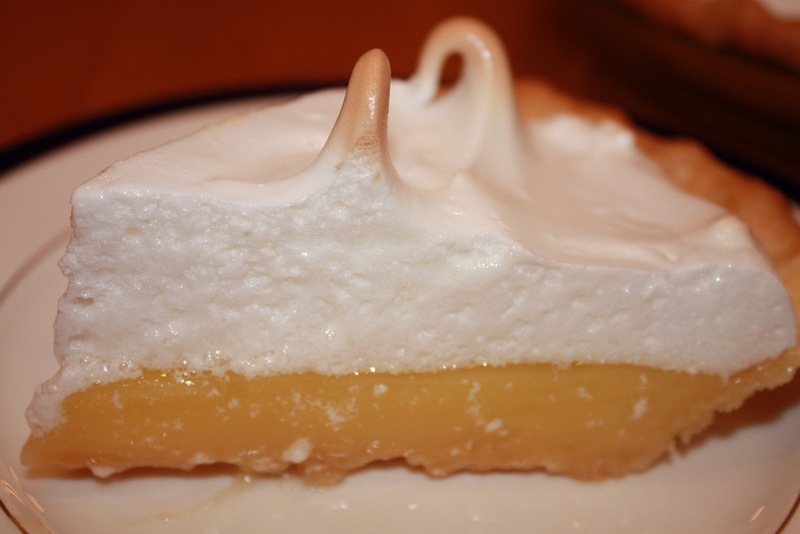 About a year ago, Dad and his better half Eunice were down visiting and, as par for the course, I made a Lemon Meringue Pie. I usually make two over their 4-5 day visits because I know how much Dad loves it and we finish the first one off so quickly. Towards the end of the meal, Dad repeated Mom’s early pie baking story and commented that her recipe was still his favorite. Well, I know a throwdown when I hear one. 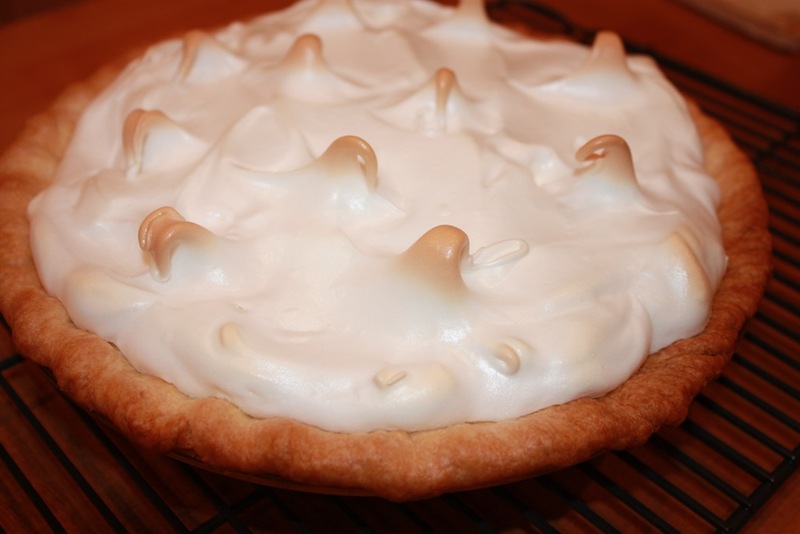 The next day, I baked two Lemon Meringue Pies, one with my crust and one with Mom’s. I wish that I could say that it was a blind tasting, but the crusts really are very different in appearance. Mom’s is flakier and thinner, while mine is more buttery and thicker. Dad took a bite of the pie with Mom’s crust and all that was heard was “AHHHHHH.” I accepted defeat graciously, or at the very least, I did not throw myself on the floor in a major temper tantrum. 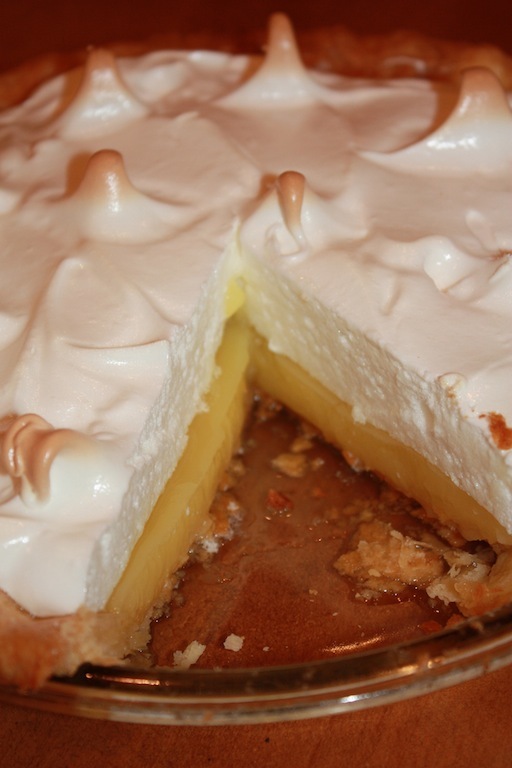 The recipe for this blog is my variation of the Lemon Meringue Pie, but there is a note for those who would prefer a less tart filling. 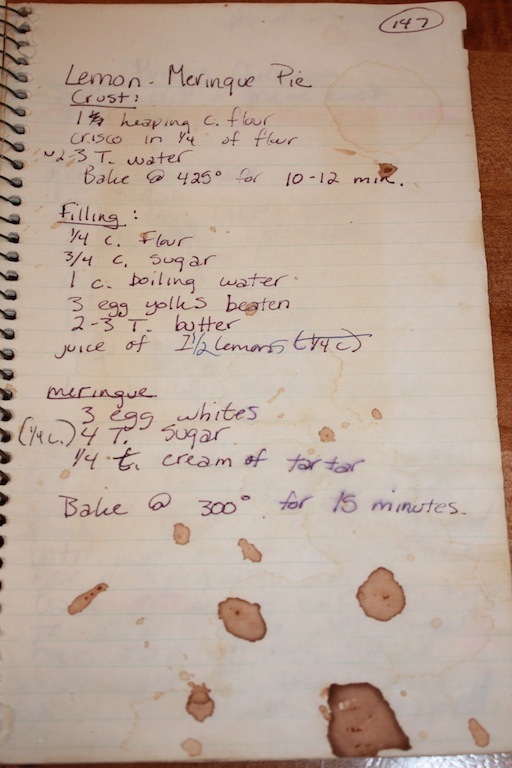 I even included a picture of the very loved page from my spiral notebook where I had copied the recipe from Mom’s book so if you want to make the shortening piecrust, you will know the proper ingredients. I thought it was important to include the source for the recipe on this site, as it was not originally Mom’s. When I asked her where she got the recipe, Mom told me that she was sure it came from her old copy of The Settlement Cookbook by Lizzie Black Kander. Mom knew she had changed the sugar amount from the original, but was not sure of what she changed it from so I asked her to see it. No big deal, right? After all, we can easily go back to the source and figure this one out, kind of like doing a bit of research for a homework assignment. So, where’s the book? Mom told me the dog ate it 35 years ago! 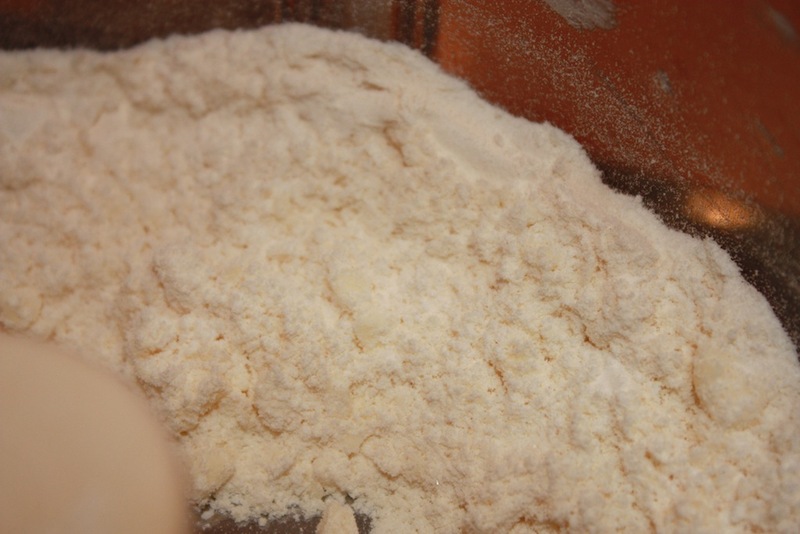 Combine the flour and sugar in a food processor fitted with a metal blade and process until well combined. 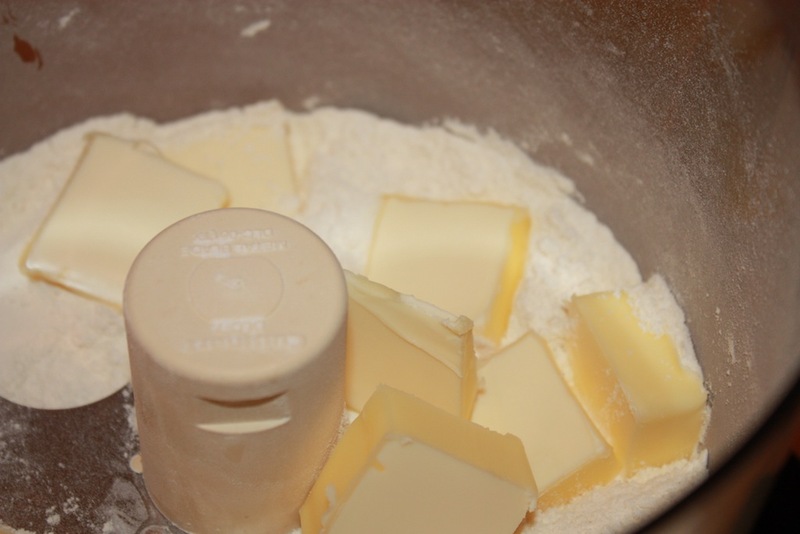 Cut the butter into 8 pieces and add the butter to the food processor. 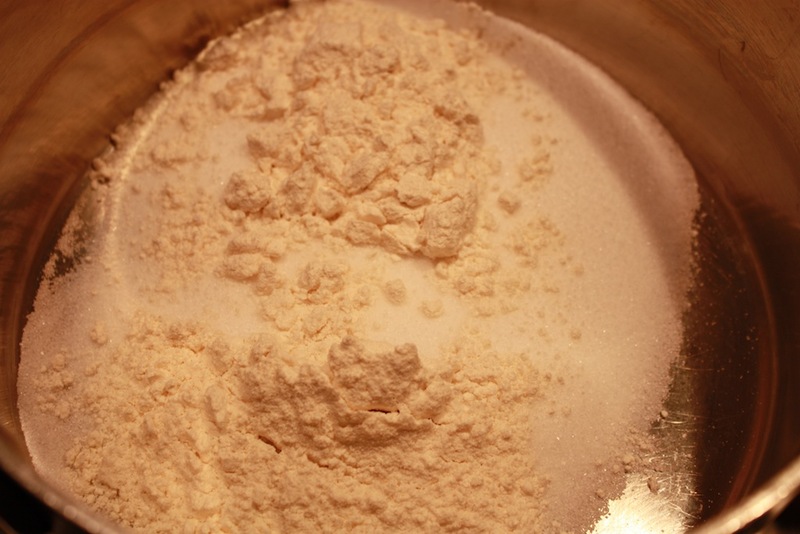 Pulse on/off until the mixture resembles coarse meal. 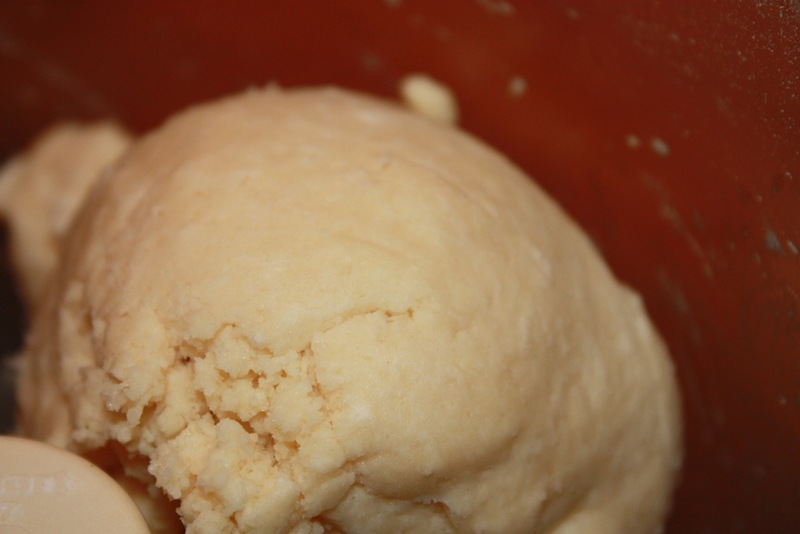 Add the ice water 1 tablespoon at a time, and pulse on/off until the dough forms a ball. 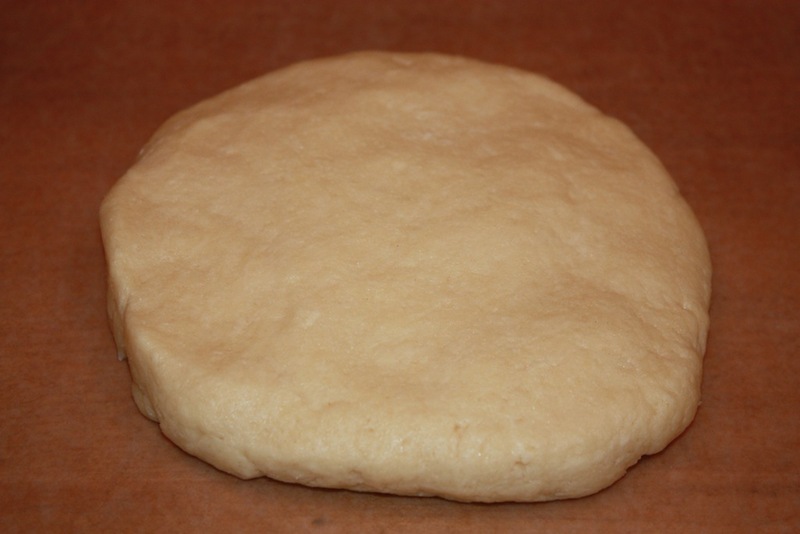 Remove the dough and form a disk. 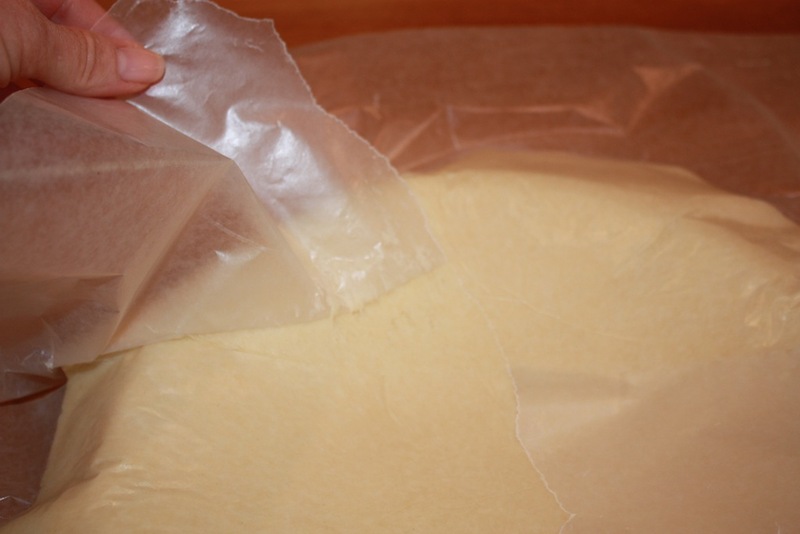 Wrap in wax paper and refrigerate for at least 1 hour. Preheat the oven to 400°. 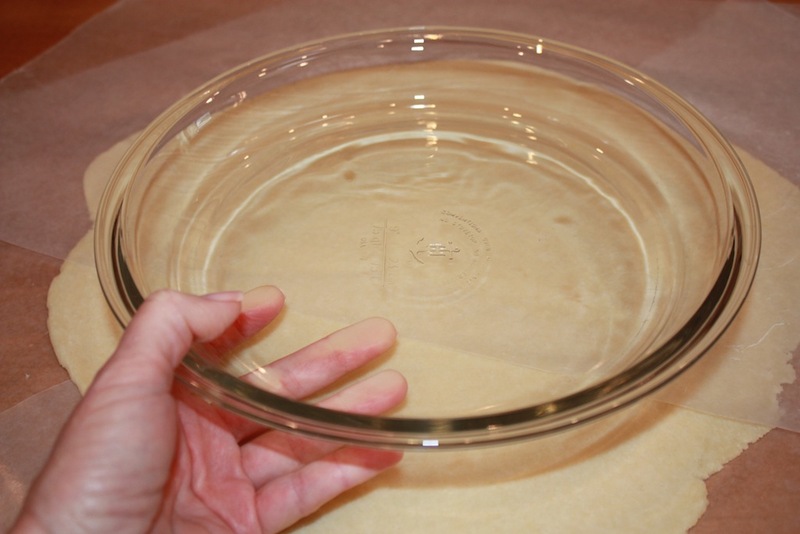 Set aside a 9" pie plate. 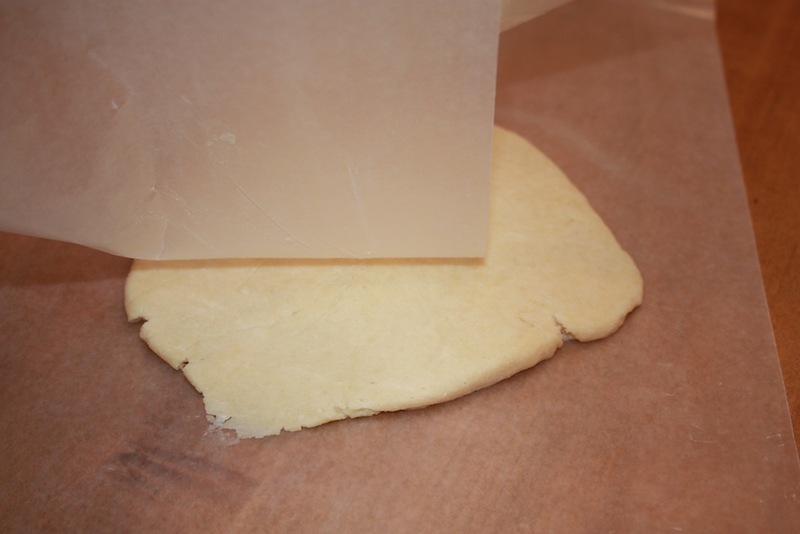 Roll the dough out on top of two pieces of wax paper, keeping a sheet of wax paper on the top of the dough, so your rolling pin is on the paper not the dough. 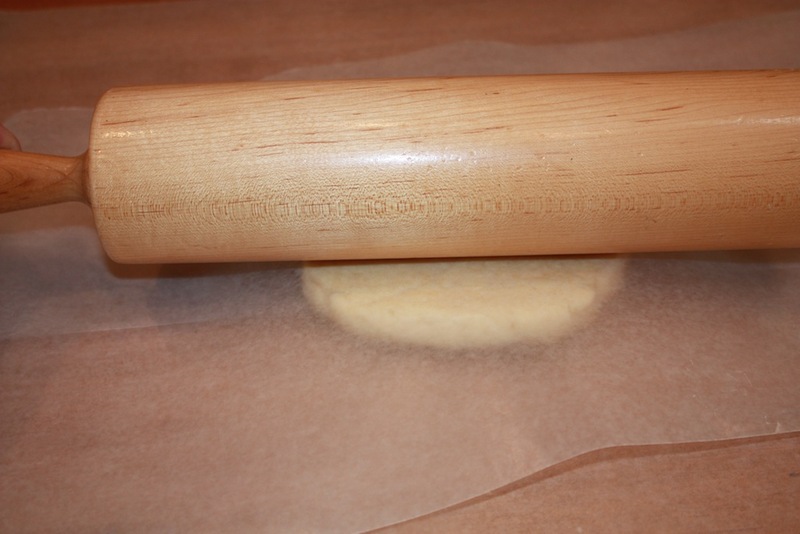 After each roll, rotate the dough and lift the paper. 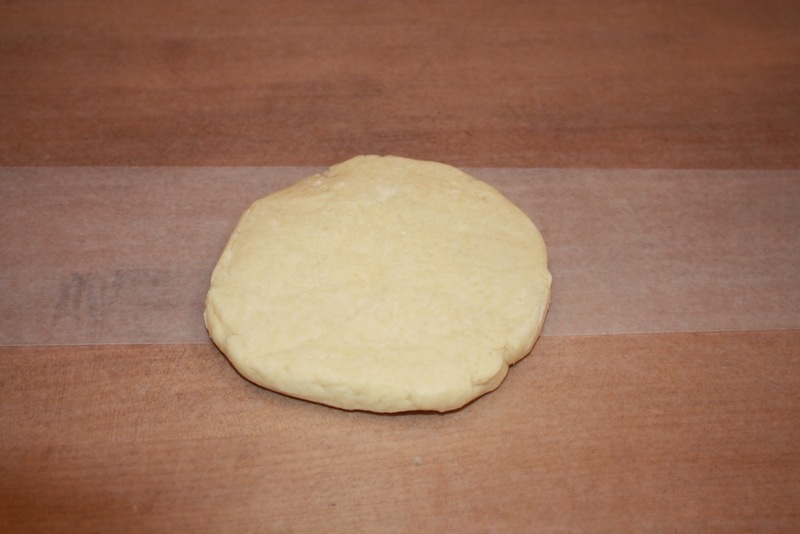 Roll the dough to a diameter of 11”. 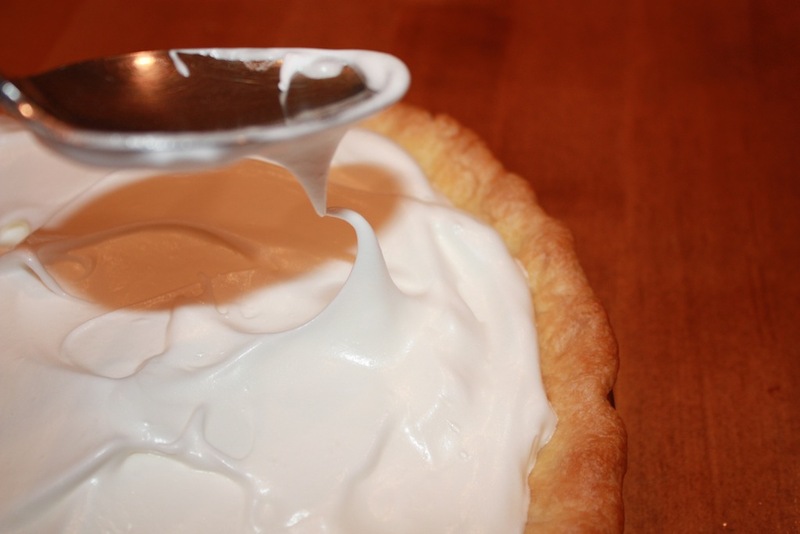 Spray the pie plate with nonstick cooking spray. 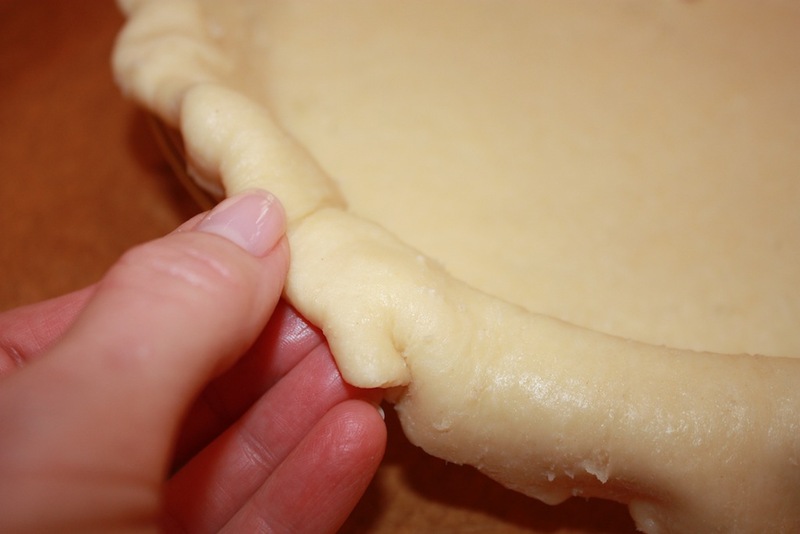 Transfer the dough to the pie plate and fold the extra dough under the top and sides to reinforce the pie. 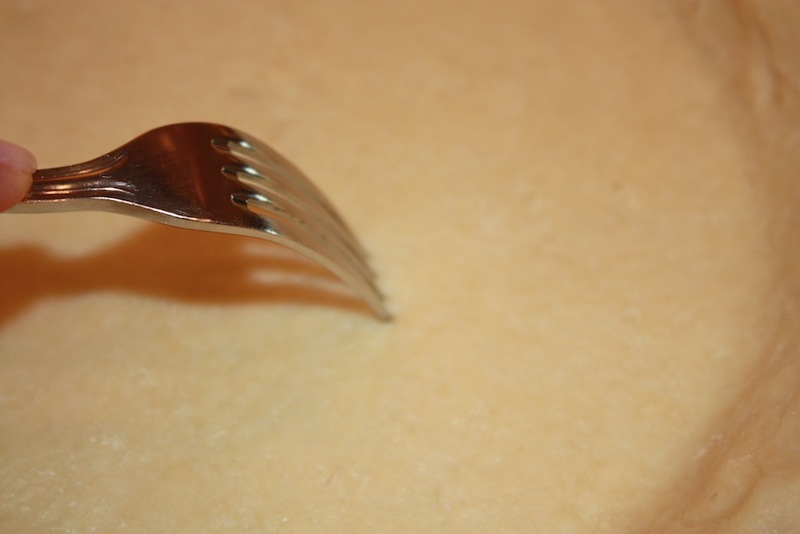 Flute the edge with your fingers or a fork. 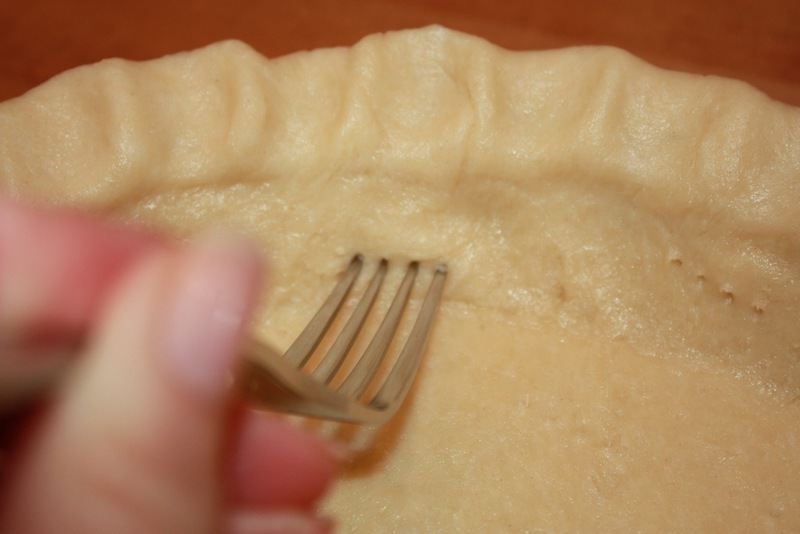 Prick the pie crust bottom and sides with a fork and freeze the pie crust for 10 minutes. 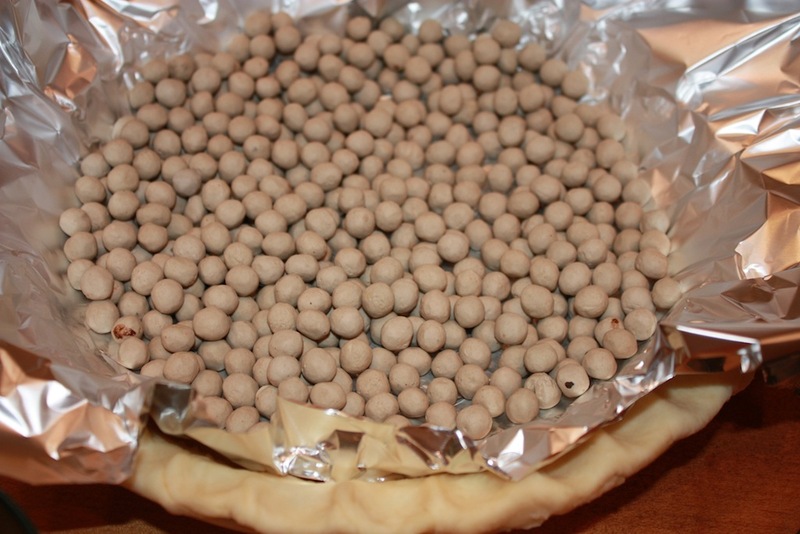 Place a piece of aluminum foil in the pie plate and add pie weights to the foil. 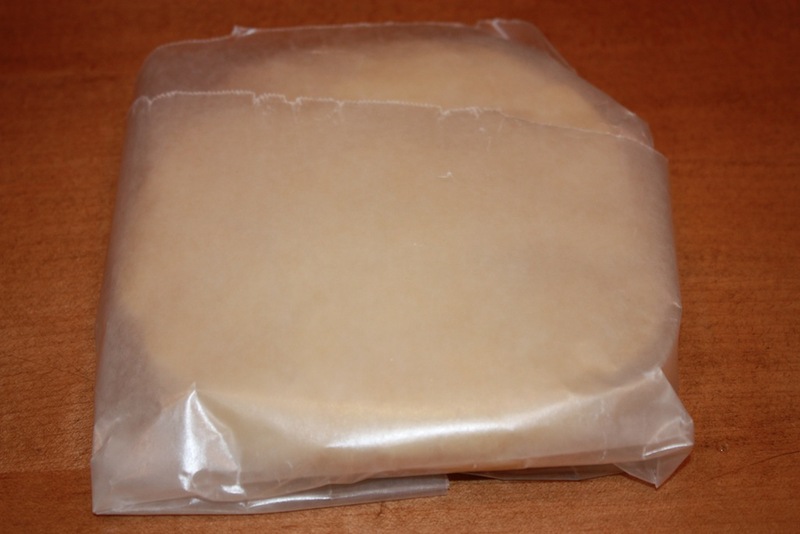 Bake at 400° for 16-18 minutes, until the edges are light brown. 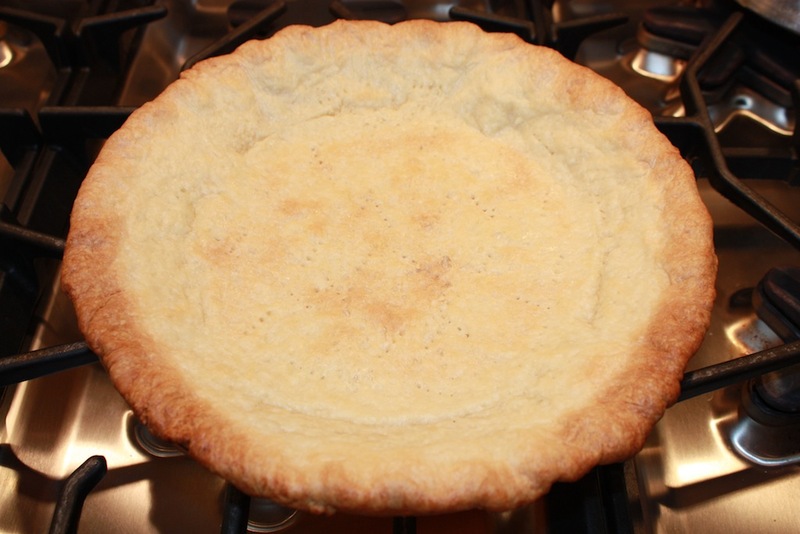 Remove the pie weights by lifting the foil out of the pie crust and bake an additional 5-7 minutes, until the pie is nicely browned. Remove from oven and cool completely. 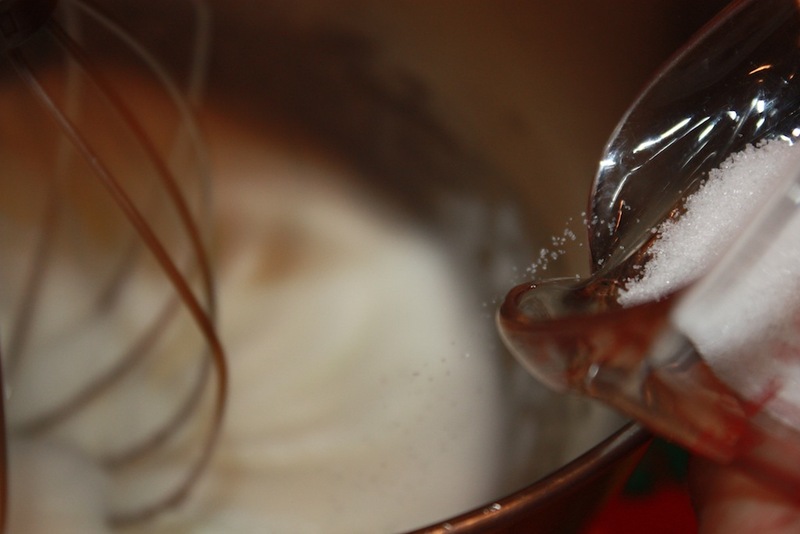 Whisk the sugar and flour together in a medium saucepan. 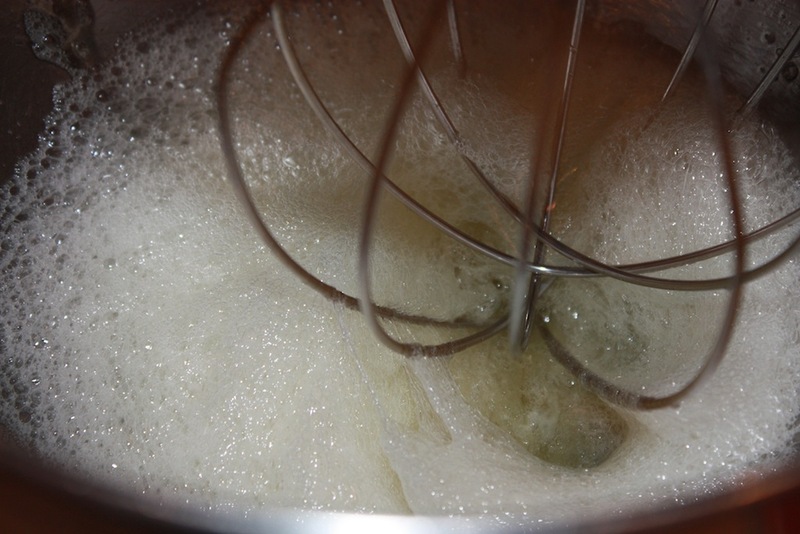 Whisk in the boiling water until it is smooth. 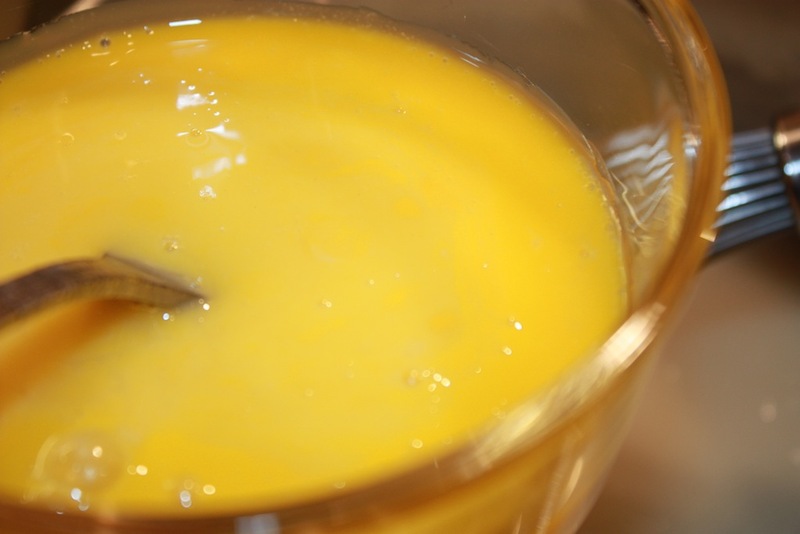 Beat the egg yolks together in a small bowl. 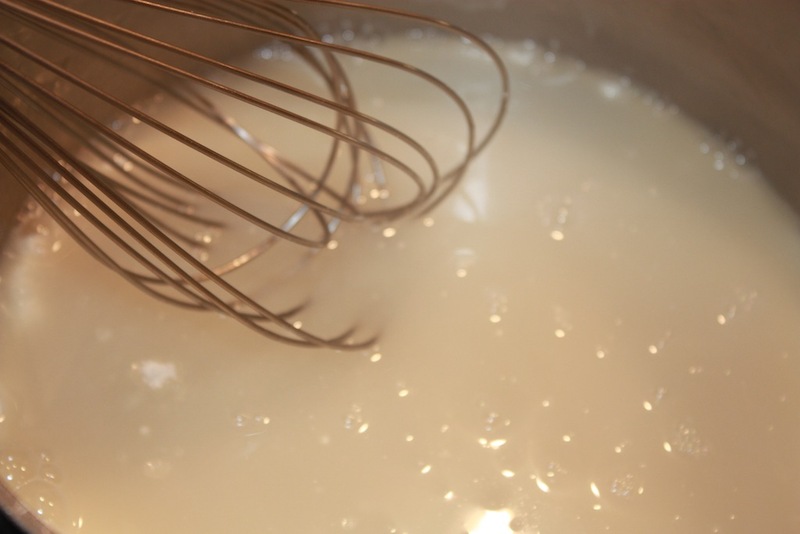 Beat in several spoonfuls of the boiling water mixture, stirring constantly, then whisk into the saucepan. 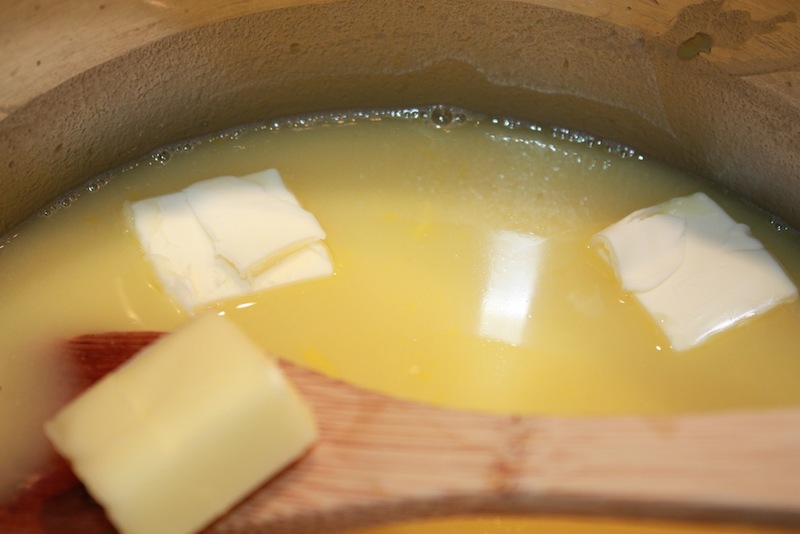 Add the lemon juice and butter. 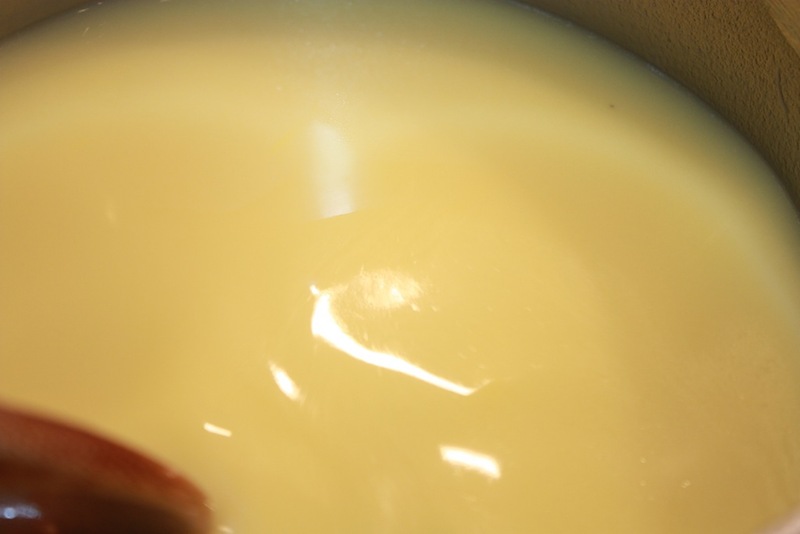 Cook over medium heat, stirring constantly, until the mixture is the consistency of a thick pudding. 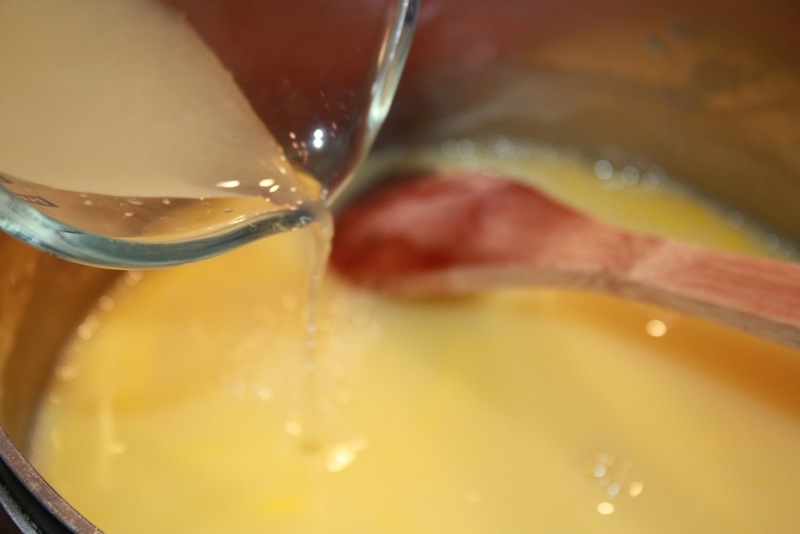 A spoon will part the mixture down the middle when the lemon filling is done. 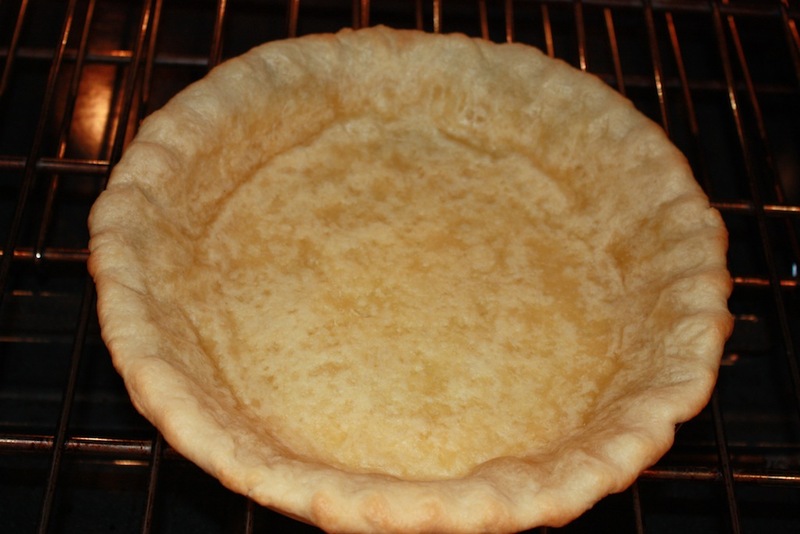 Immediately transfer to the cooled pie crust. 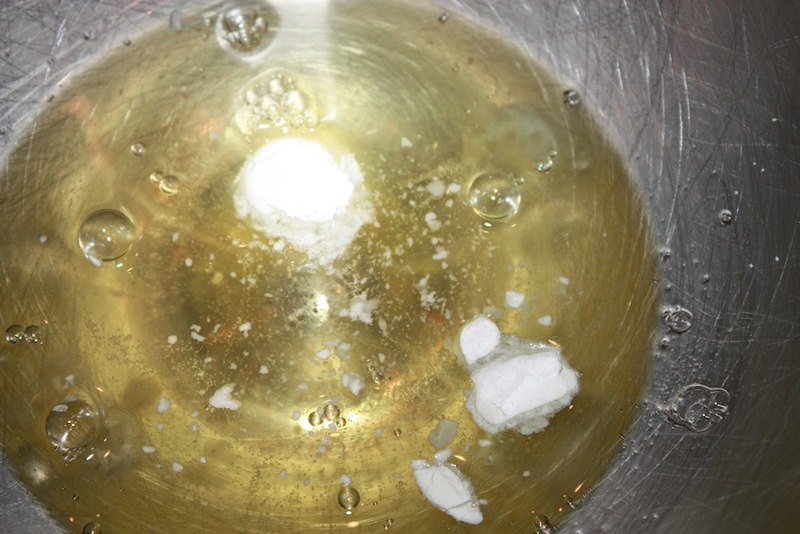 Place the egg whites and cream of tartar in a mixing bowl fitted with a balloon whisk. 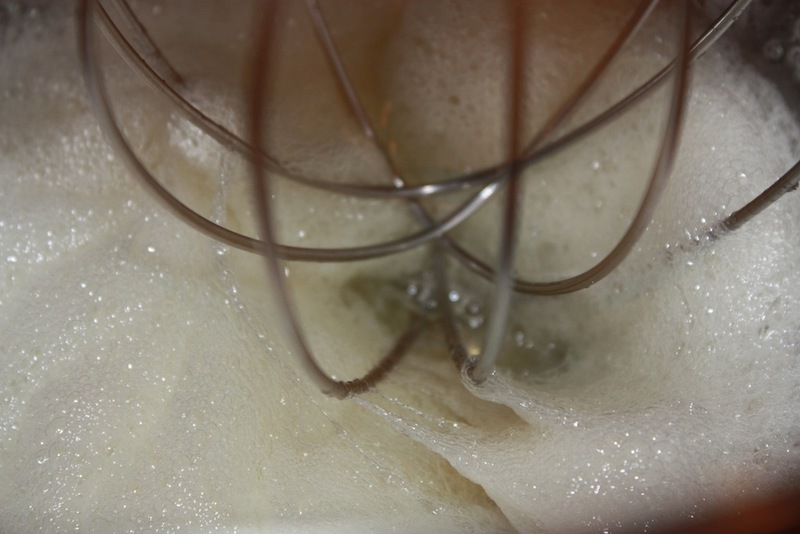 Whisk on medium high speed until soft peaks form. 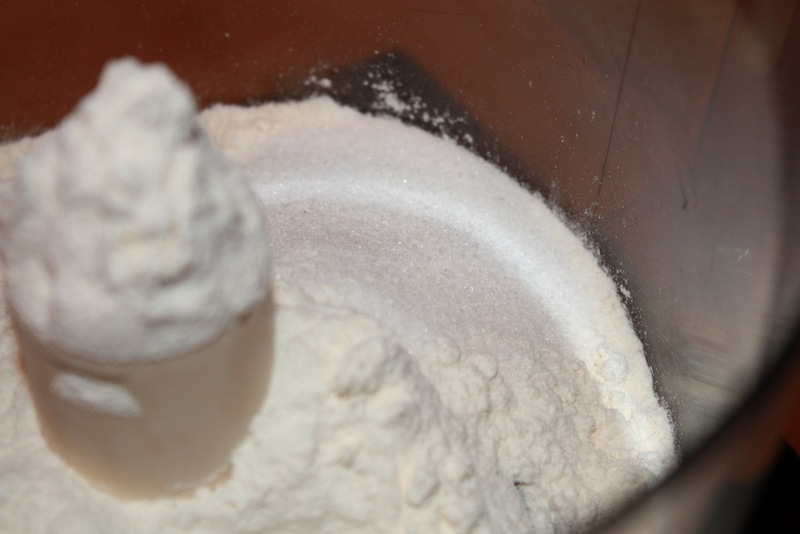 With the mixer on, gradually add the sugar. Scrape down the bowl once all of the sugar is added. 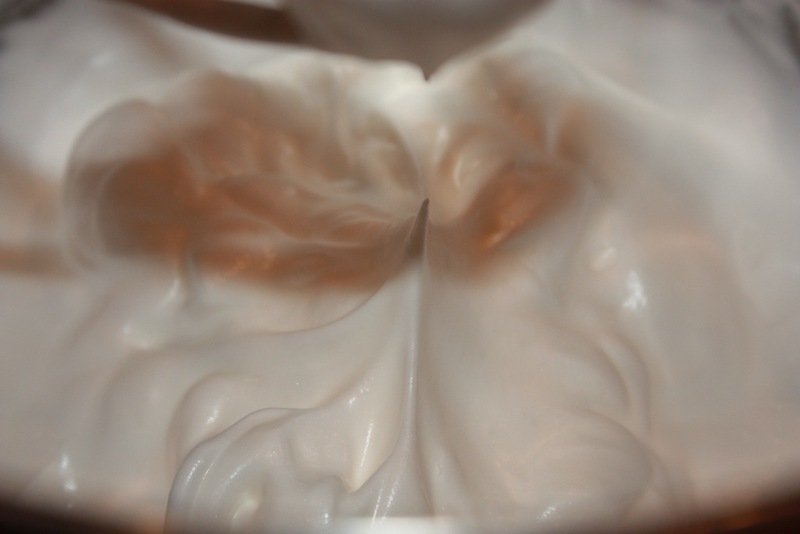 Mix on high speed until stiff peaks form. 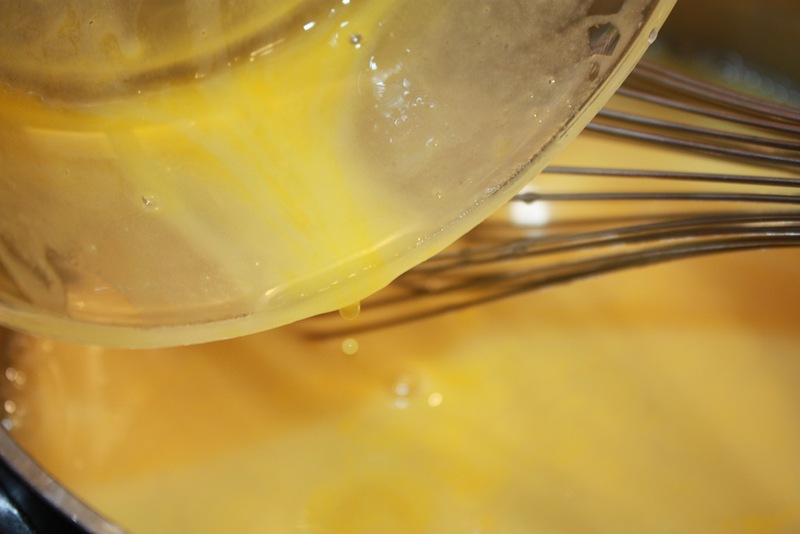 Transfer the beaten egg whites to the middle of the lemon filling. Use the rubber spatula to spread evenly over the filling. 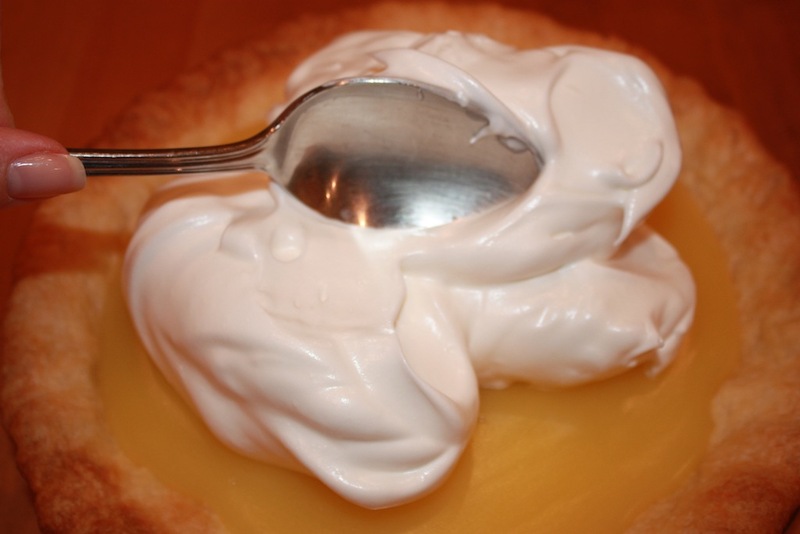 Be sure to take the meringue to the edge, as if to seal it. 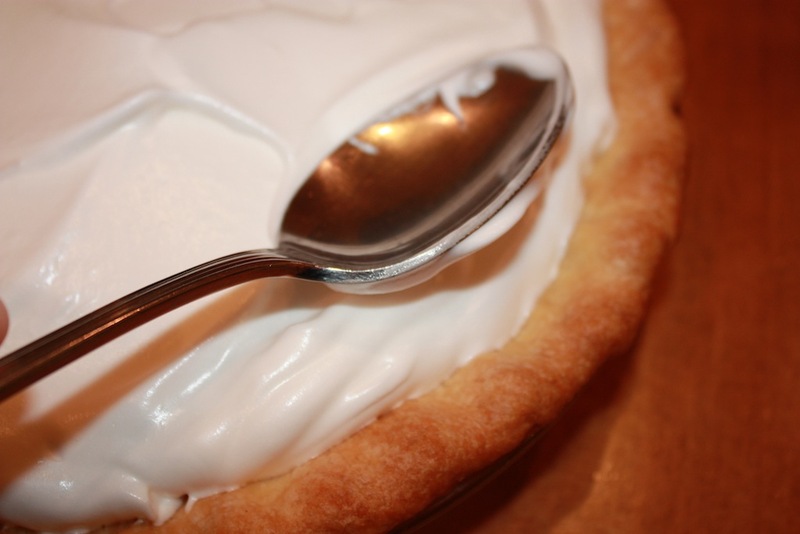 Use the back of a spoon to lift the meringue up and make curly-q’s, as many as you would like to have. Bake at 300° for 15 minutes. Transfer to a cooling rack to cool for a bit. Do not refrigerate before serving. 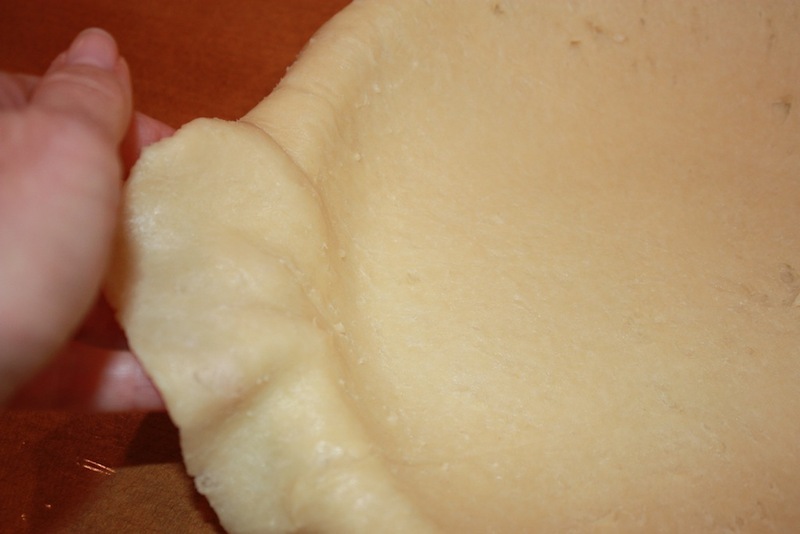 The pie crust may also be rolled out on a lightly floured board. 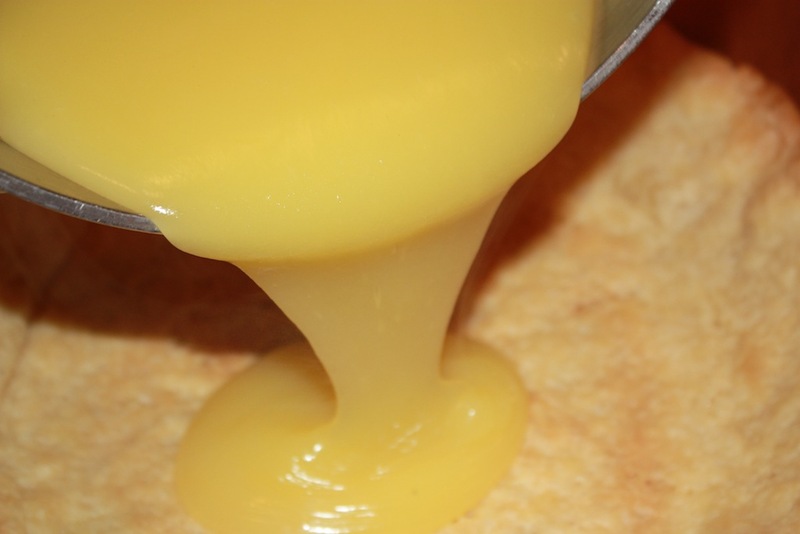 Six tablespoons of lemon juice gives a very tart lemon filling. 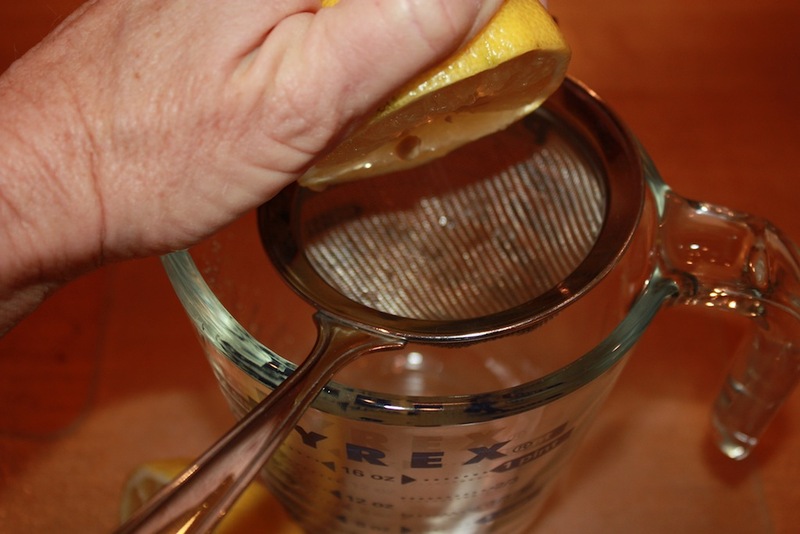 If you prefer less pucker, use 4 tablespoons instead. 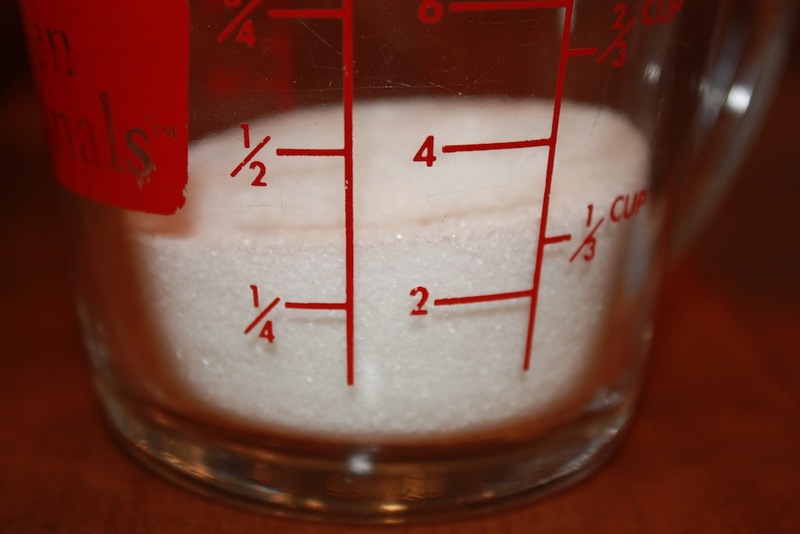 Measure the 6 tablespoons of sugar, for the meringue, using measuring spoons but transfer the sugar into a glass measuring cup. 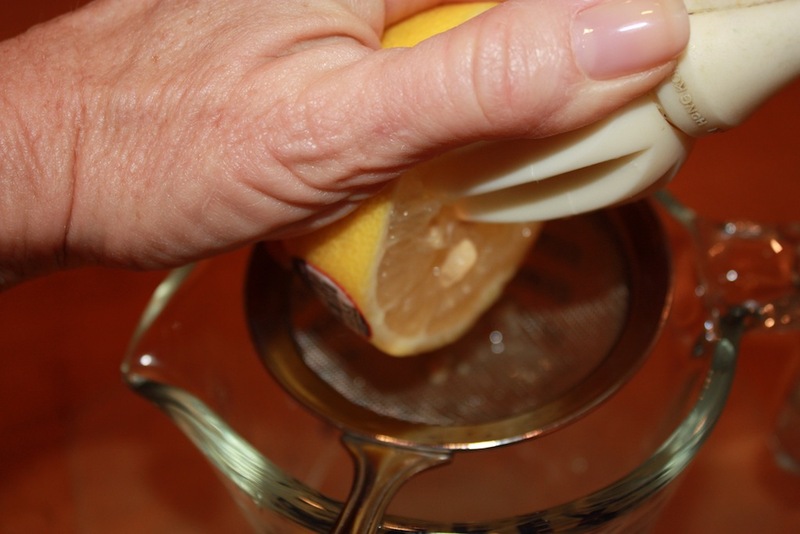 It is easier to gradually pour into the egg whites this way. 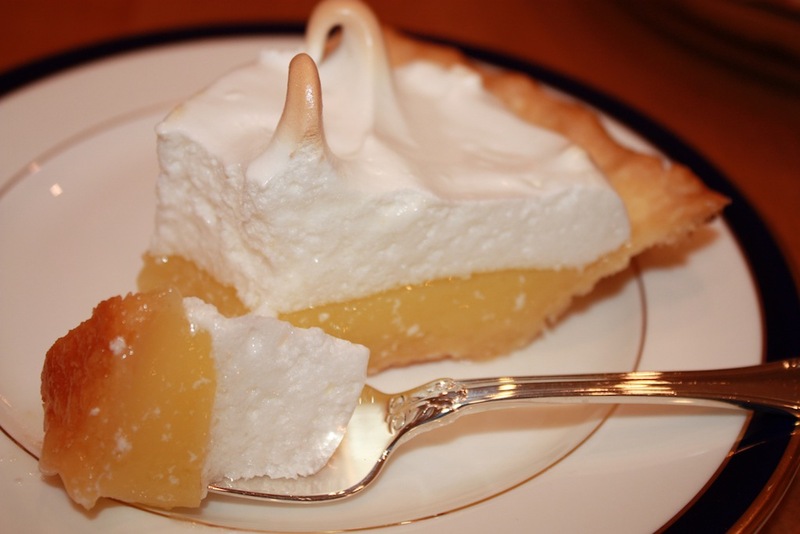 Lemon Meringue Pie should be served the day it is made. Refrigerate any leftover pie. 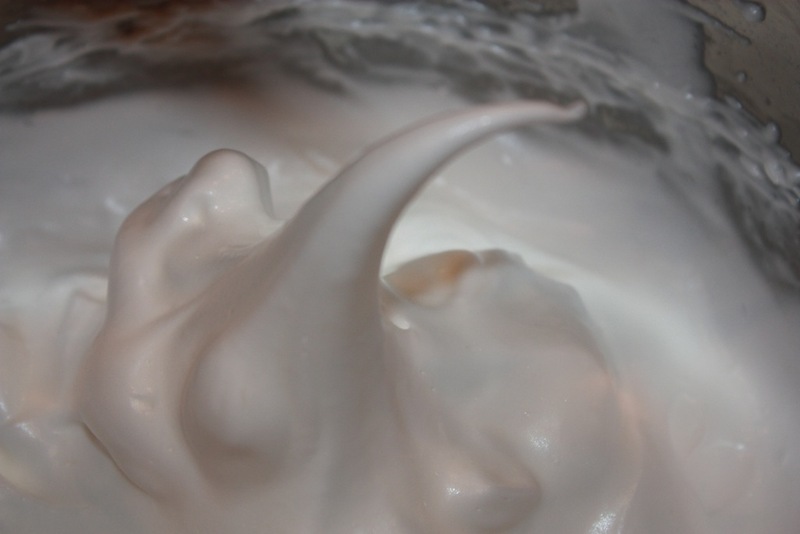 The meringue will 'wilt' away once refrigerated, but it still tastes great. 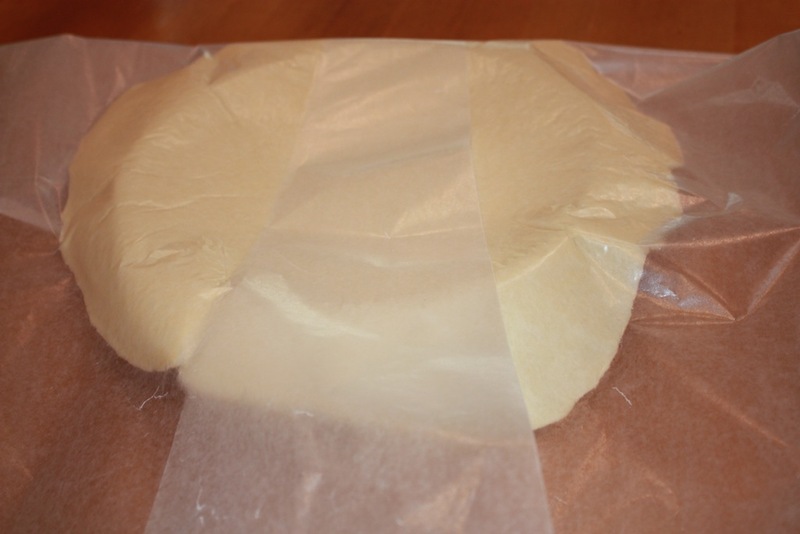 There is additional time needed for the dough to rest. Love your recipes and commentary. I think the story of Mom baking pies day after day will always make me laugh. I am very thankful that she did this, though, as her mastery was most definitely of benefit to me. OMG!! 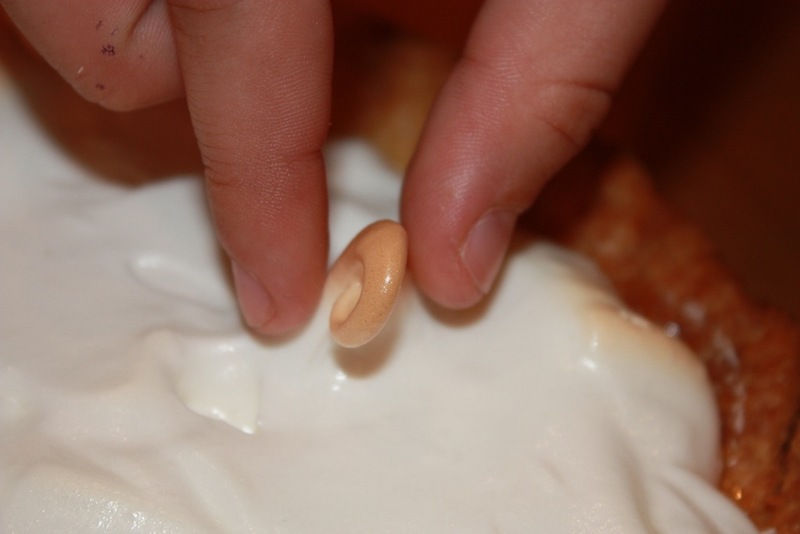 I can’t wait to try this one out…it looks amazingly delicious….I know my honey will only love me more for it…. I love your website….you are so talented…when are you going to get your own baking show…???!! Thanks Carmen! You made my day. Happy baking. I know your honey will be thrilled you took the time to bake for him. Betsy, I have watched your Mom make the, “Best Lemon Meringue Pie,” and there is one very important item that you did not copy into your spiral notebook: butter. 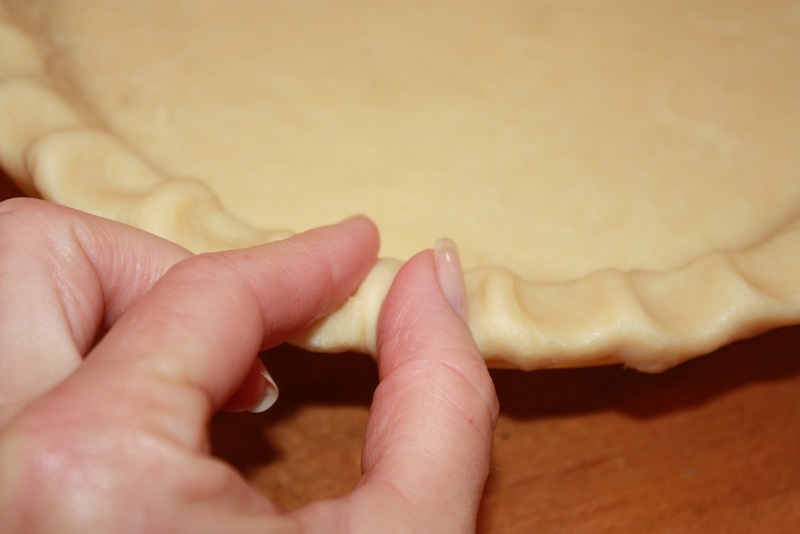 After she gets all finished putting the pie dough into the pie plate, she brushes two to three tablespoons of butter all over every visible piece of the crust, including the underneath edges. 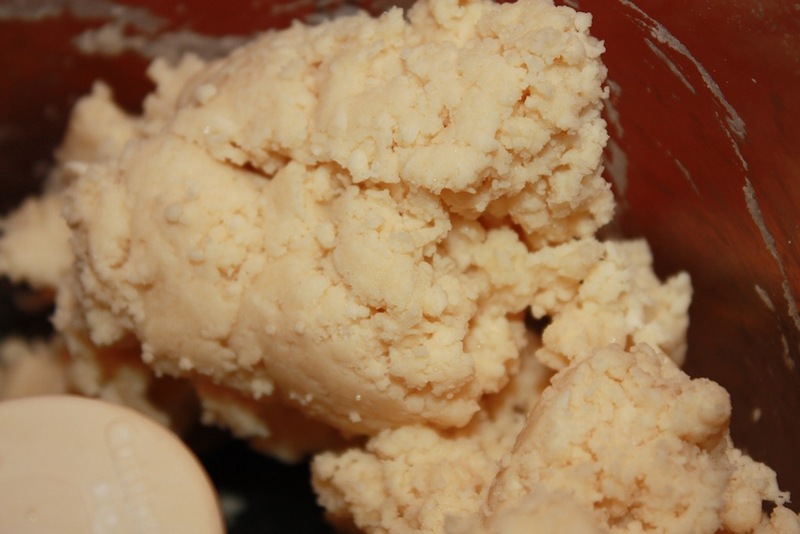 Now, she has the wonderful combination of both butter and shortening. I’m sure yours is just as good; but, since I have only had your Mom’s, I can attest to everything that you said about it—-and that she, so modestly, says, as well. You are correct Carmen. Mom does brush plenty of butter all over her crust before it bakes. I am happy for you that you have been the recipient of her pies. They are as delicious as Mom says! 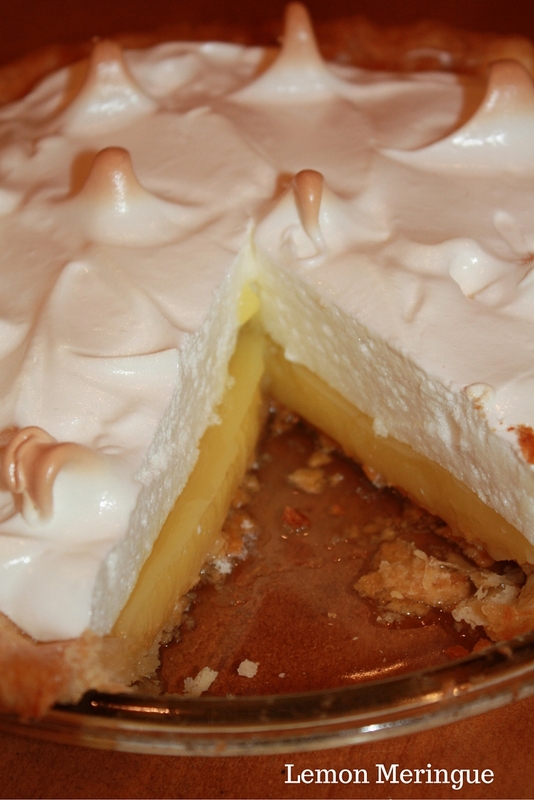 My dad also loved lemon meringue pie, but I never made it for him from scratch. 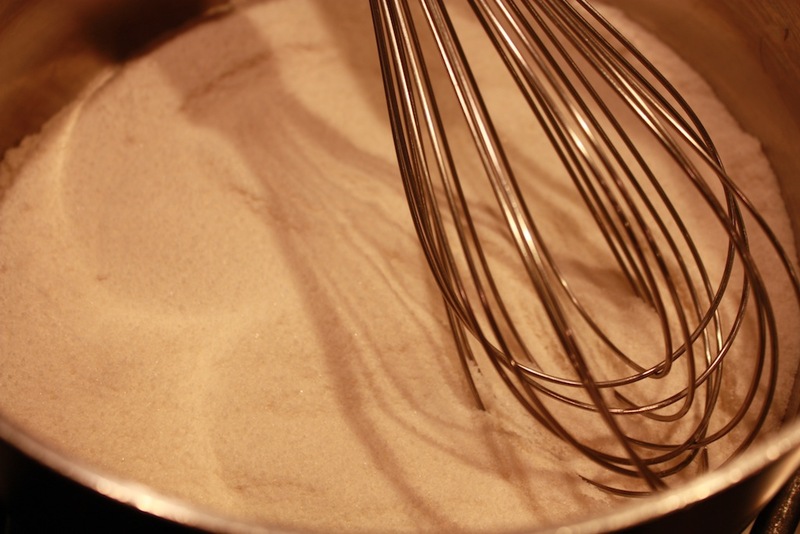 After reading your blog, I wish I had known your recipe before he passed away. It looks wonderful, and one of these days I’m going to try making it in his honor. Thanks for your inspiring and funny stories! Thank you Penny for sharing your words. I imagine your dad would get pleasure knowing that you are thinking along these lines and I am sure your family will appreciate the pie when you make it. Betsy this is such a cute pie! I want to make it but I might need a tutorial on the back of the spoon thing. 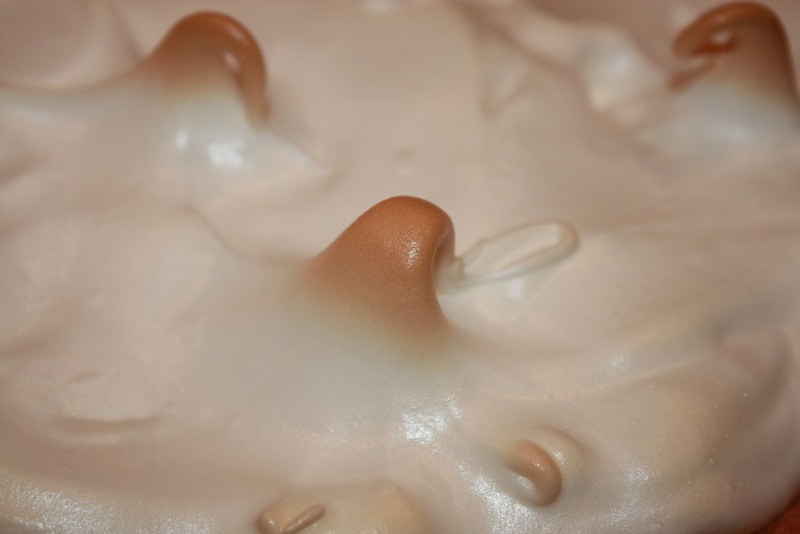 I just sort of swirled my meringue with a spatula. I love this! 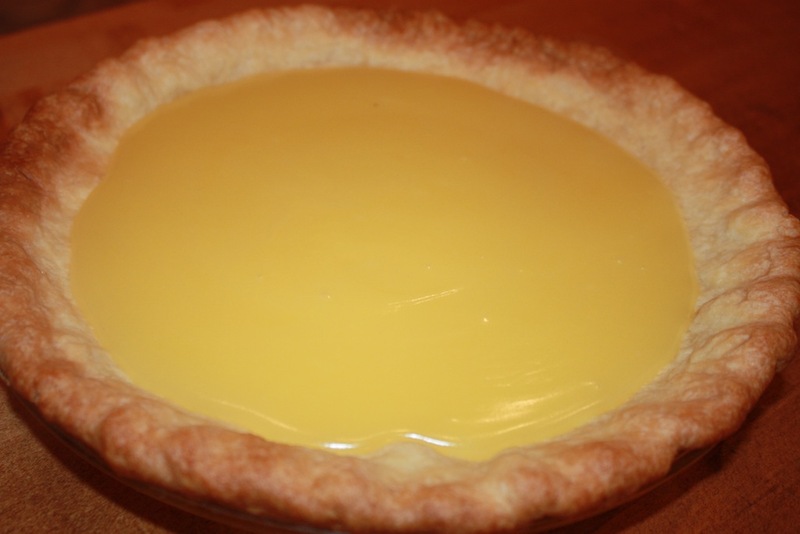 Also do you have trouble with the top falling off your lemon filling? I have a lot to learn about these pies! Great questions. The key to getting the curls is to grab a bit more on the back of the spatula or spoon and, gently, pull up. 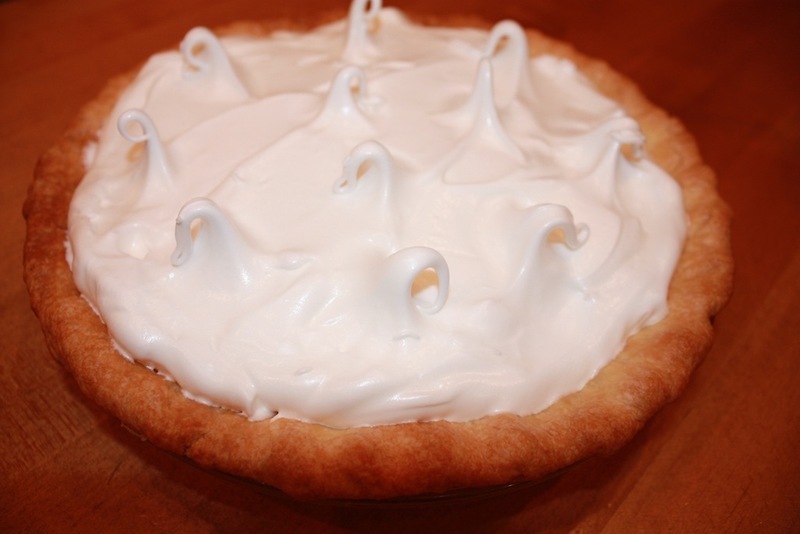 Sometimes my Lemon Meringue Pies slip a bit off the filling. I take a paper towel and let it absorb any excess liquid. I find that helps. Please let me know if you have any other questions. I am happy to help! !